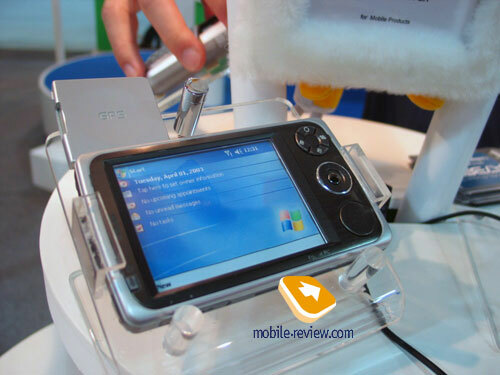 Several new PDAs were demonstrated at the exhibition this year. Almost all of them are MS Windows based. 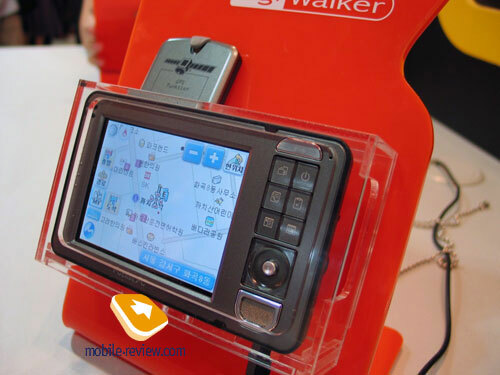 Satellite navigation was the leitmotif of the event, more and more models are equipped with integrated satellite receivers. That is the main trend of PDA market development for the future half year. The trend number two following GPS is integrating hard drives. 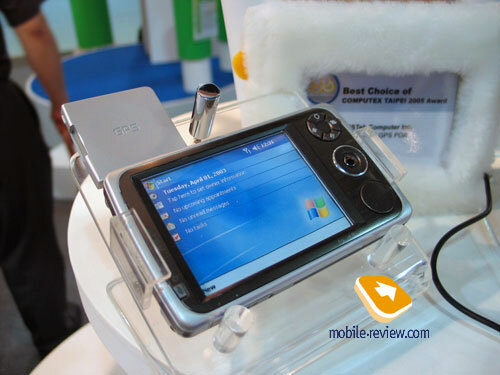 The first PDA we are going to tell about is the Asus MyPal A636 by Asus. 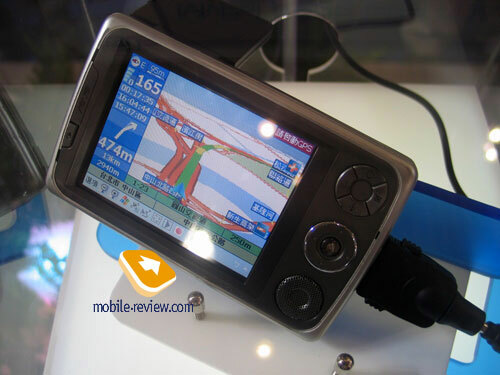 The main innovation of the model is an integrated GPS receiver. 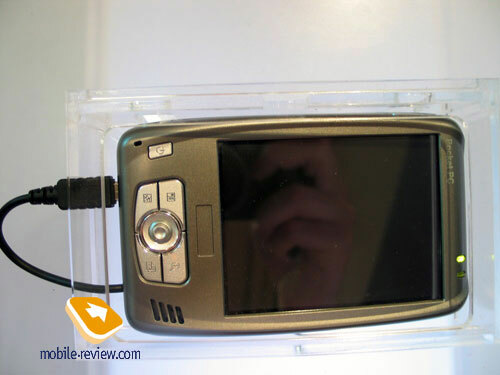 Despite the presence of a SiRF STAR III chipset with an integrated antenna, the model has an outer one that may be laid down by pressing up to the back of the device when not working. More and more new GPS PDAs use this very chip. The operating system is undoubtedly Windows Mobile 5.0. The CPU is also quite standard - Intel PXA 272 416 MHz. 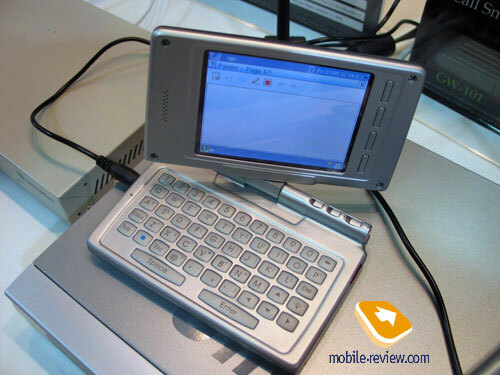 The standard screen resolution is 320x240 pixels; other characteristics are also standard for a Pocket PC: 65K, 3.5". The body is horizontally oriented for comfortable work with maps in a car. The loudspeaker, the joystick and application buttons are placed in three rounds with similar radius to the right of the screen. The adapters are the following. These are Wi-Fi (IEEE 802.11b) and Bluetooth 1.2, IrDA (slow infrared), SD/MMC supporting SDIO standard also (various peripheral devices not only memory cards may be attached). It's notable that Asus plans to launch a similar model with the second miniSD expansion connector, but without Wi-Fi and Bluetooth. The device is probable to appear under the name of Asus MyPal A632. Both models will be equipped with 1300-mAh batteries, which is an intermediate value for a GPS model with a QVGA-screen. 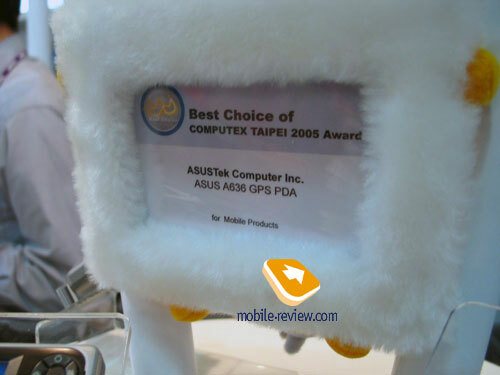 The Asus MyPal A636 won an award in the "Mobile products" category. A funny situation happened to MiTAC at the exhibition. The manufacturer was represented at two stands at the same time and both showed the same devices. In the first case, the models acted under the Mio brand and in the second - under the internal code names (I'd note, our readers had an opportunity to acquaint with the new devices by MiTAC first). The specs of the devices got clearer and undergone changes before the official press-release. The Mio 168 has been renewed lately; the main change is adding a SiRF STAR III chip. Insignificant changes in design also may be mentioned. The model will be lead out of the market this July. Its life circle could have been prolonged till the 4Q 2005, but there are problems with the Intel PXA255 CPU availability. The Oscar 150 comes to replace this successful model in the 4Q 2005 (the model acted only under the code name at the exhibition, a precise commercial index is unknown still). That is the top product in the company's line. It is based on Intel PXA 27x 312 MHz, has an integrated Bluetooth 1.2, new version of Windows Mobile 5.0 (Magneto), let's point out IrDA and two expansion slots. 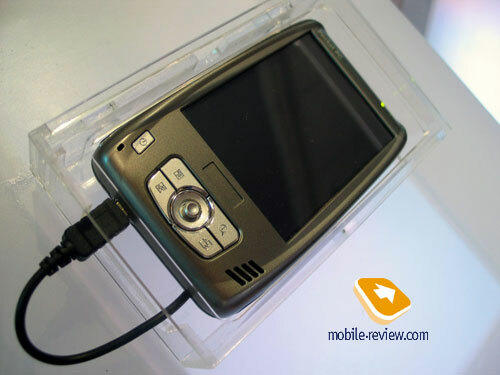 The product won't become such a hit as the Mio 168, since the rivals will have produced solutions similar in characteristics and functions by the launch of the PDA. 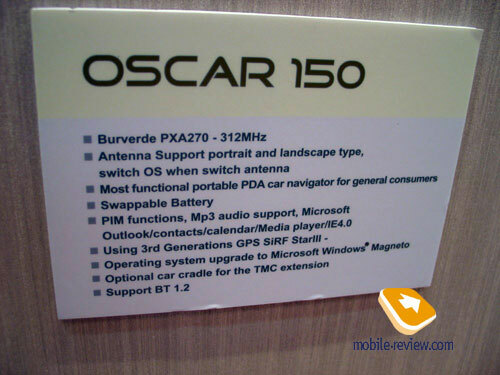 The price for the Oscar 150 will form about $450-500 for the start of the sales, and then the price will be corrected considering the costs of the rival products. The Oscar 88 (Mio 169) is a complete copy of the Oscar 98 in appearance. 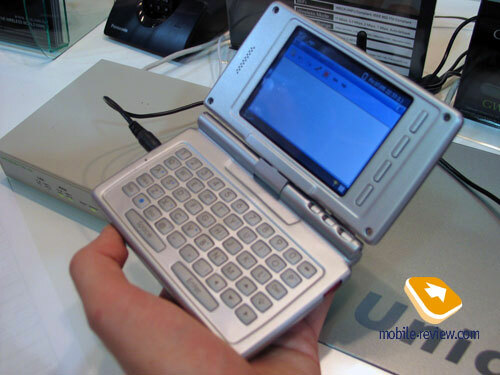 Though this model has an old operating system Windows Mobile 2003 SE and an old CPU Intel PXA 255 400 MHz. 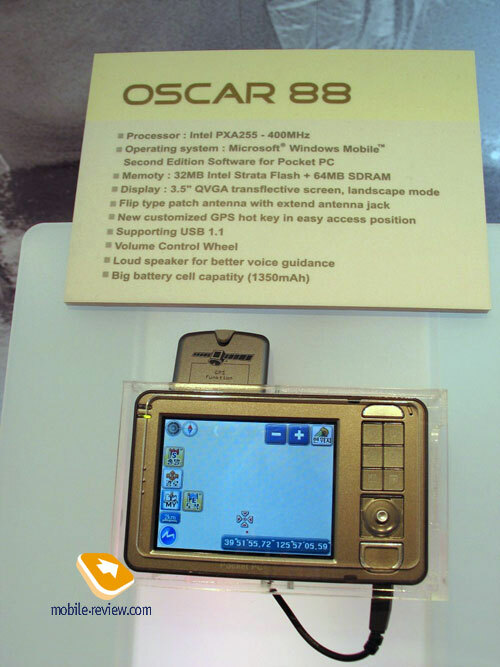 The Oscar 88 is a basic device for GPS navigation with the minimal set of extra capabilities, it is hard to distinguish against a background of others. 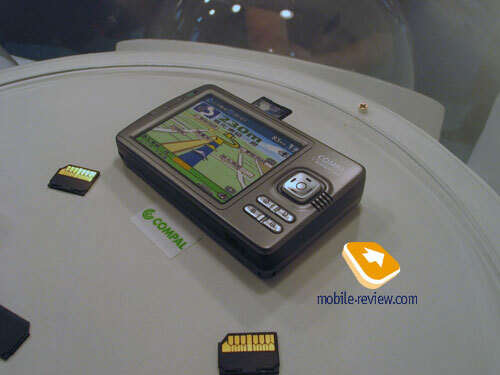 Compal demonstrated its Compal GDA (abbreviation of GPS Digital Assistant). The main features are the absence of an external antenna, a new PXA27x 312 MHz CPU. The PDA's dimensions are 121x71.5x17 mm (in a thick part up to 22 mm). Announced battery life in the GPS mode forms 5 hours. 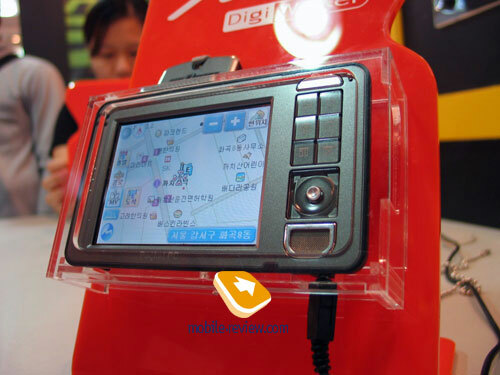 The company of d-Media demonstrated one more GPS device that is the inView G1. The device is based on Win CE 4.2 and the CPU is an unknown Atlas with the clock rate forming 192 MHz. The stand attendants forbade to take photos of it, the reasons are not clear, since the images are available in the catalogue.